Until recently, Oculus Rift owners have had to maintain two separate repositories for games; Steam and Oculus Home. And depending on where you bought a game, that’s usually where you’d launch it from. Revealed in a forum post, Oculus will be pushing a general update soon that will allow you to launch SteamVR apps (provided they have Rift support) directly from Home. A public pre-release build is already available however if you want to start creating your ‘one library to rule them all’. Ok. So in the history of hassles, managing two disparate game repositories isn’t the biggest ever, but removing friction between you and the game—regardless of where you bought it—is a welcome feature nonetheless. 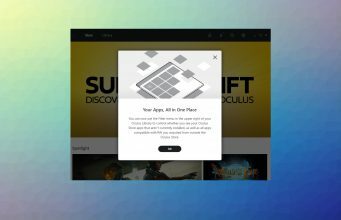 To this end, you can now install a pre-release of the 1.17 software update which lets you manage your content library by letting you import, view and launch all apps that support Rift directly from Home—be it from the 2D interface or from within VR. 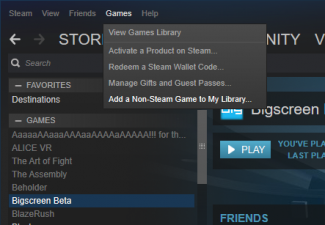 There’s no batch import function in the current update, so for now the system automatically adds the Rift-compatible game to Home (thumbnail included) the first time you fire it up from Steam. You’ll be able to filter out these “outside” titles by toggling them in Home’s library menu. You can also remove the link from your game library, something Oculus says doesn’t uninstall the actual app from your computer, but rather removes the link to Home. The company warns that removing app links can’t be undone at this time. As for your friend’s list, when you’re in a game not purchased on the Oculus Store, your online activity simply displays as “Online”—and certainly not ‘Online playing a game I bought somewhere else’. The update comes a few weeks after Valve launched Steam Home Beta, a user-friendly 3D social space that lets you view and launch VR apps from within the headset. 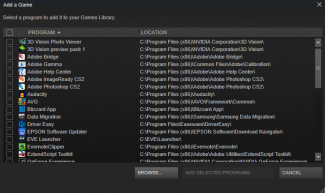 For Rift users looking to use Steam as their ‘one library to rule them all’ though, you can technically search for any Rift-only executable and add it to your library manually, but nothing as simple as the one-click solution Oculus has put forward. Check out how to opt-in to the Public Test Channel for this and upcoming pre-releases below. To opt out, just toggle it off and you’ll revert back to the standard update branch. 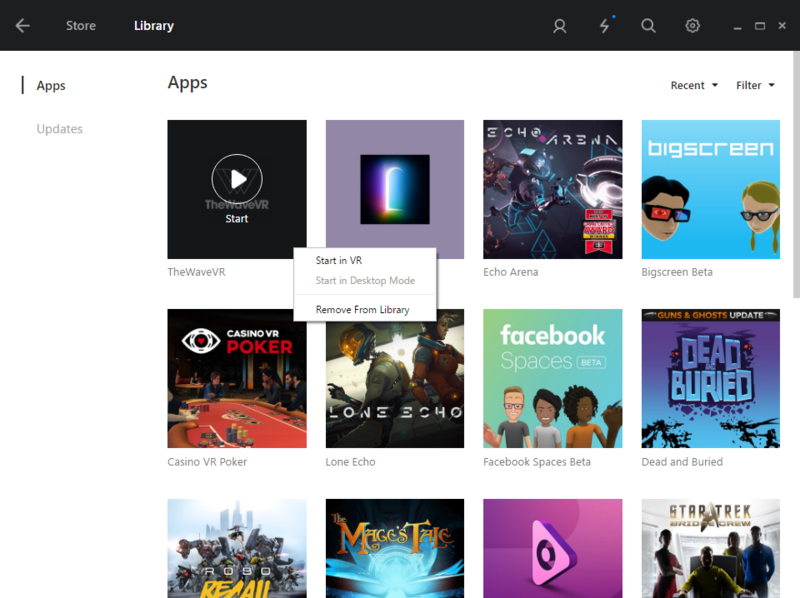 The post Oculus 1.17 Update Will Let You Launch SteamVR Apps From Oculus Home appeared first on Road to VR.